Peachjar streamlines school-to-home communication by distributing fliers, community resources, and vital school updates directly to parents through their digital service. Over 600 school districts and more than 20,000 community organizations use this tool to deliver communications to school parents. And if a school district is using Peachjar, then they are contractually obligated to send all school communications through the Peachjar digital platform rather than through printed materials. Every Flier Must Be Approved by the School District and Must Follow Their Individual District Guidelines. Yes, that’s right. Each district has a set of guidelines that determine what kids of fliers they will approve to be sent out to parents. Peachjar links these guidelines in their program provider accounts under a “District Guidelines” tab. An example may be requiring your flier to have both an English and Spanish version. Peachjar Fliers are ADA Compliant! Peachjar fliers adhere to ADA compliance. That means, for example, that parents that have visual impairment can receive information from Peachjar fliers via screen reading devices that detect text, then read it back to them. For this process to work properly, there is a step in the flier upload process that populates the text from your flier into a box as it will be “read” by Peachjar systems. If the text in that box does not match what is on the flier, you run the risk of the flier being denied by the district, so be sure to check that it is correct. Over 14,000 schools use the Peachjar system. That’s close to 20 percent of all schools in the United States who use the Peachjar system. The platform has heavy coverage on the West Coast, East Coast, and throughout the South. To see if your school is a Peachjar school, check this list. Peachjar Design Tips are Easy to Follow! Peachjar recommends strong, clear calls to action, simple copy, and large images. This fits our Scout Me In! fliers perfectly! If you’re looking for some great fliers to get you started, check out the options in the BSA Brand Center. You can find fliers for Cub Scouts, fliers for Scouts BSA, and more! Although the Peachjar system is free to school districts who utilize the platform, there is a fee for organizations, such as the Boy Scouts of America, to distribute their fliers through the platform. Costs can vary by timing and number of schools. This article is part of an ongoing series that covers digital platforms used to deliver items like our Scout fliers. Please be sure to look for more of our other articles on different platforms. As we learn more about the financial discussions underway at our national organization, it’s important to note that Scouting in the Michigan Crossroads Council is as strong financially and programmatically today as it’s been in many years. As our council is a separate non-profit 501c3 corporation based in the state of Michigan, the Michigan Crossroads Council should not be impacted by the recent news stories regarding issues that affect the National Council BSA and its operations based in Texas. The Michigan Crossroads Council is financially strong and membership is growing! More than 60,185 boys and girls participate in Scouting in our Council, despite a declining demographic and more competition than ever. 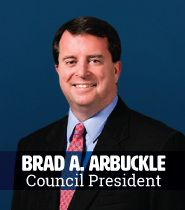 Our Council receives no funding from the National BSA organization. In fact, we pay fees to National BSA as a part of our charter agreement and for specific services. We receive value back from the national organization, but we operate as a financially independent not-for-profit corporation. Dollars given locally to support Scouting in the Michigan Crossroads Council stay at the Michigan Crossroads Council. Our programming and services will go on uninterrupted regardless of what, if any, financial restructuring the National Council BSA pursues. 12,089 youth have joined Scouting in Michigan Crossroads Council this year alone, a growth of 3.8%. The Michigan Crossroads Council’s retention rate of 72.2% is equal to the regional average and is further evidence of our success here, and the benefits of Scouting. Also included among the thousands who already participate in our program are our newest members — over 2,444 girls have enthusiastically joined Cub Scouts in our council for the first time. Excited families are in the process of organizing more than 104 new Scouts BSA female troops in our communities and preparing to launch in February 2019. We are on track to continue our overall membership growth trend at the end of this year. Our Scoutreach program continues to break down barriers to membership for lower-income, under-served families in urban communities. This program has assisted 10,378 youth this year to date. As they have for over a century, our Scouts continue to make a real difference in our Michigan communities. In 2017, a total of 499,110 community service hours were completed by our Scouts and volunteer leaders. Summer camps are a great part of our Scouting adventure. Last summer a total of 15,994 Cub Scouts, Boy Scouts and Venturers and their families attended. Scouting is the finest and most effective youth development program in America instilling character, leadership and service. Youth in our programs gain an advantage in life that prepares them for success. A recent 3-year study by Tufts University finds that youth in Scouting report increased happiness, trustworthiness, hopefulness for the future and kindness as a result of our programming. Given the achievements of our Scouts and volunteers this year, we have no reason to believe that the future is anything but bright for Scouting and the Michigan Crossroads Council. It’s more important than ever to make sure that the next generation of Americans learn character, leadership, citizenship – and the importance of being a kind, caring and decent person. For over 100 years the Michigan Crossroads Council has done that, while helping to create memories and friendships that last a lifetime. Thanks to our volunteers, donors, and families, we will continue this vital work for many, many years to come. It is our hope that the National Council BSA organization can navigate the difficult waters that many organizations face. 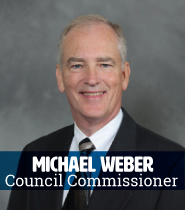 The Michigan Crossroads Council will continue to focus on bringing high-quality and safe programs to the families we serve throughout the lower peninsula of Michigan. 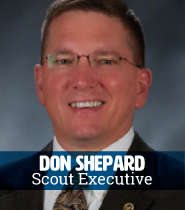 The Michigan Crossroads Council of the Boy Scouts of America is fortunate to have Don Shepard as their Scout Executive and CEO. The council geographically serves Michigan’s Lower Peninsula and over 70,000 members. A chance encounter more than three decades ago ultimately led Shepard to his executive role with the Boy Scouts. Scouting has been a part of his life since his youth and in this interview, he discusses the “aim of scouting” Character, Citizenship and Fitness.